Abnormal lower gastrointestinal function in children is poorly understood. Currently little is known about the cause, progession, outcome and effective treatment for children with lower gastrointestinal dysmotility Abnormal lower gastrointestinal function causes long term abdominal pain, painful defaecation, fear of defaecation, bleeding with defaecation, loss of appetite, nausea, vomiting, irritability, poor attention, school absence, challenging behaviour, growth failure, intestinal failure and death. Currently access to investigations (manometry) to help guide management (including potentially life long stoma (bag)), despite maximum cooperation, is extremely limited and often occurs in an area of the hospital that is not designed for children. I am setting up a dedicated children’s lower gastrointestinal service at The Royal London Hospital which will bring together all the services necessary, who will meet on a weekly basis, to change the way in which children with this neglected condition are managed and treated. The service will be within the children’s hospital at The Royal London Hospital and we will be able to offer these important, potentially unpleasant and worrying investigations on a weekly basis in a child friendly environment with the necessary support from playspecialists, psychologists and specialist nurses and be carried out by a paediatric lower GI physiologist. The service includes: lower gastrointestinal clinical nurse specialists, play specialists, psychologist, paediatric surgeon, paediatric gastroenterologist and will have regular access to dieticians, child psychiatrist and radiologists. 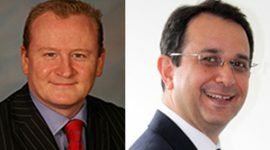 On site there is access to international leaders in gut motility (Prof Martin, Prof Knowles, Prof Sifrim, Prof Sanger and Dr M Scott). I have recently been awarded £75,000 by the Health Foundation to run a 15 month project to improve outcome in children with severe faecal incontinence and constipation. This will fund salaries – mainly project lead/GI physiologist and allow us to get information on the function of a patient’s lower gut whenever we need. The project run in period is April to August 2016. Eleni Athanosakos will start as the project manager and lower GI physiologist in August 2016. Outcomes will be measured in summer 2017 and presented nationally and internationally. During the project a business case for the continuation of this unique service will be made and it is expected that once is established it will difficult to withdraw the service. 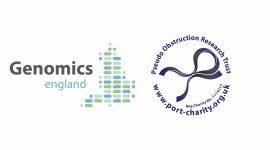 We were fortunate to gain funding from PORT of £20,580 and Childwick Trust for £10,000 to purchase a High Resolution Anorectal Manometry [HRAM] (including Colonic Manometry) machine. This funding provided the opportunity to open a service which would attempt to improve diagnostic and management in children with chronic constipation (CC) and faecal incontinence FI). Physiological assessment: High Resolution Anorectal Manometry) (HRAM), endoanal ultrasound, colonic transit x-ray; proctogram, colonic manometry. Weekly multidisciplinary meetings are done with CAPS/STAR team, to discuss patient care, treatment modalities, academic excellence and ways to improve the service. This allows consistency and collaborative efforts from all professionals to offer support for the patients and their families. We have receive 65 referrals (internal) to date and have performed so far, 40 patients awake HRAM and 8 done under anaesthesia and the remaining booked to be seen in the near future. Preliminary data indicates that all patients discussed in our MDT (STAR) have had a definitive management plan formulated and implemented. Patients have given positive feedback. Patients and their families feel more satisfied when they have a clearer understanding and diagnosis, education about what the condition and realistic expectations. We are grateful for having this funding to purchase HRAM to perform novel and effective ways of measuring and further understanding these debilitating symptoms in these children. It has given us the opportunity to set up this service and we have recently submitted a business case to Barts Health Trust, in order to allow the service to continue its work. The PORT and Childwick Trust funded equipment is a crucial component of this unique service and has given patients and parents information about their disabling condition that they have never had before. Along with all the specialists we have been able to create bespoke treatment plans.